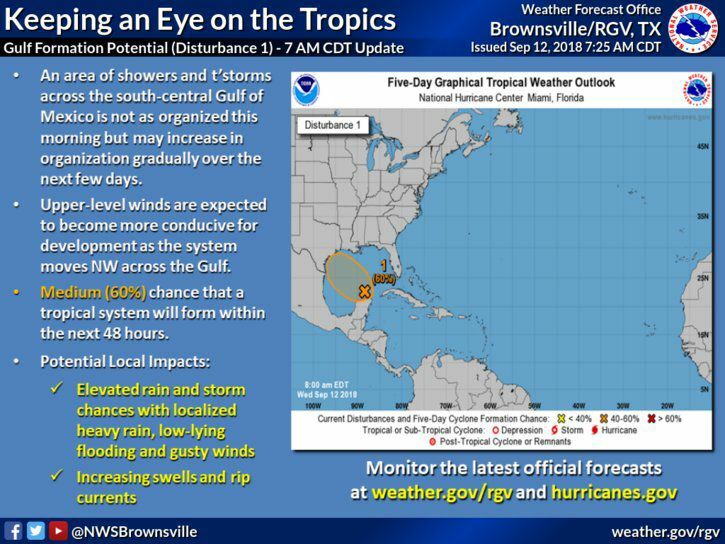 For the second day in a row, the National Weather Service in Brownsville has extended a flash flood watch for most of the Rio Grande Valley until Thursday. 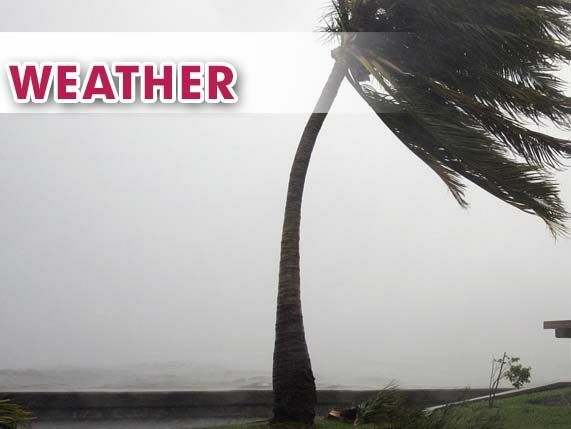 The flash flood watch was to end today but was extended because of a combination of deep tropical mositure, low pressure at the surface and in the middle layers of the atmosphere and a weak stationary front, which will produce more scattered showers and thunderstorms, the NWS reports. The watch affects Cameron, Hidalgo and Willacy counties. Pockets of 6 to 9 inches of rain have fallen across portions of Brooks and Hidalgo counties since early Monday morning. There’s a 50 percent chance of heavy rain today and a 40 percent chance of heavy rain tonight. There’s a 50 percent chance of heavy rain Thursday and a 60 percent chance of thunderstorms Thursday night. A flash flood watch means that conditions may develop that lead to flash flooding. The NWS also issued an update Wednesday morning on an area of showers and storms in the southern Gulf of Mexico. The NWS says it has potential to organize over the next few days as it gradually moves toward the northwest, adding that the system has a 60 percent chance to develop into a tropical system in the next two days.